Joseph Joseph are market leaders with their award winning worktop savers, carrying a lifetime guarantee against breakage with a dishwasher safe design. 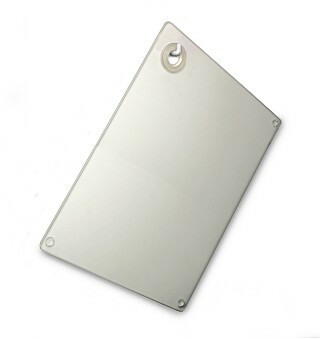 Worktop savers are multi functional in providing a hygienic odour and stain resistant work surface for food preparation and a heat resistant trivet for temperatures up to 280°C. Manufactured from toughened glass with non-slip feet and a silicone rubber grommet this product will help protect your kitchen. 30 x 40 cm (12 x 16 inches approx). Also available in the smaller 30 cm square size.